Of course, it isn't that simple, there is other significant factors affecting sales in the short term. Headwinds include over-leveraged households (also on CR), reduced access to credit, high unemployment and the death of the "Home ATM", which allowed the public to keep spending at artificially high-levels by extracting home equity. Additionally, consumer sentiment is still depressed. 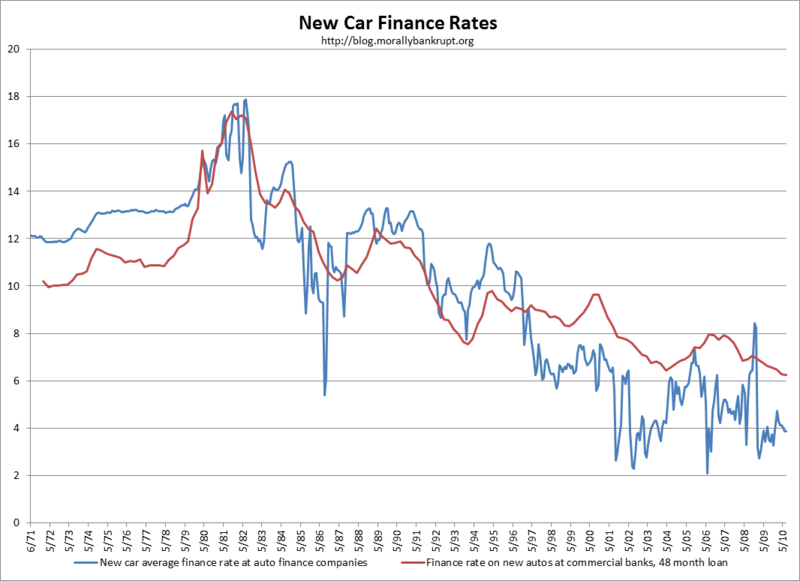 Tailwinds include low interest rates for auto financing. Additionally, periods of high unemployment usually mean limited price inflation. Over the longer term, the picture is less rosy. I make no bear case for domestic vehicle demand, but increasing vehicle lives, a higher rate of ownership and demographic changes suggest reduced rates of growth for sales. 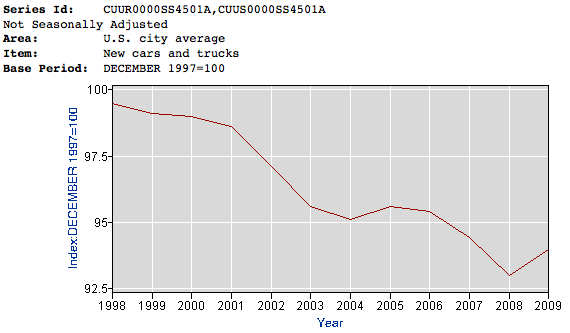 For example, my previous estimate calls for an additional ~29 million vehicles in the national fleet by 2010, compared with an increase of 27 million from 2000-2008, 32 million from 1990-2000 and 33 million from 1980-1990. The automotive sector has enjoyed decades of growth as the number of drivers increased and the number of automobiles owned per-capita increase, but they may be stumbling into a natural growth limits. 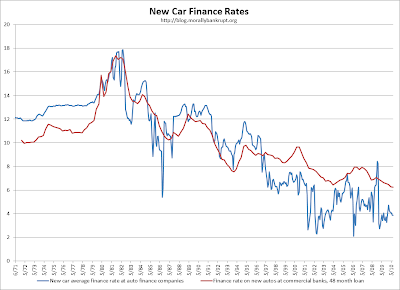 It seems to me that in the future, vehicles will be tied increasingly tied to the replacement cycle as the rate of fleet growth stabilizes at a lower level.